This sitarist began his musical training at an early age and by the age of 16 had found the instrument that would be his life, the sitar. 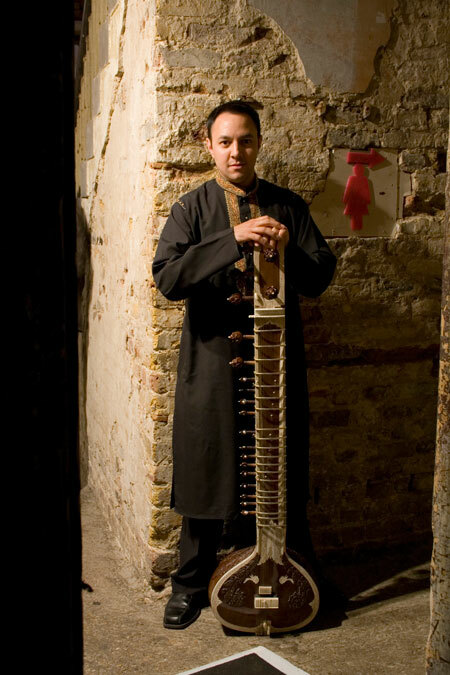 His teachers have included Clem Alford (the first ever European sitar player), Pandit Subroto Roychowdhury of Senia Gharana and Wajahat Khan (direct descendent of Mia Tansen the great musician, one of the nine jewels in Moghul court of Emperor Akbar). 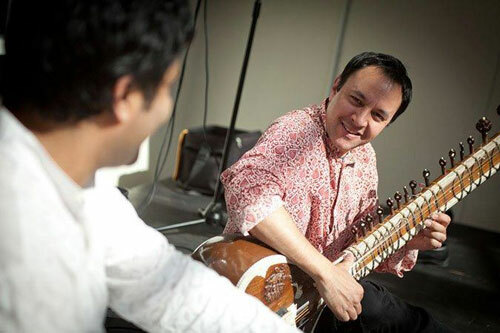 He studied composition from his father and later with Andrew Downes at the Birmingham Conservatoire where he gained a B.Mus (Hons) at the Birmingham Conservatoire studying both sitar and composition. 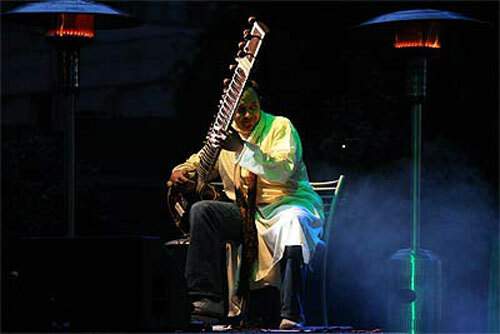 His career so far has seen him play with artists such as Dave Stewart, The Smith String Quartet, The Bingham String Quartet, Kumar Bose, Shiv Shankar Ray, Ashok Dutta, Erich Gruenburg, Rohan De Sarem,The Dub Pistols, John Wilson, Bombay Dub Orchestra, Swati Natekar, Sarah Brightman, I Musici Fiamminghi Orchestra and Sir Paul McCartney. His compositions have been performed by Erich Gruenburg, Joji Hattori and Indo-Jazz Fusions and he has written for many library music companies. As well as his playing and compositions being heard on two Nimbus CD's and two on FMR, he can also be heard on Sarah Brightmans' Eden and Kevin Spaceys' Beyond the sea and has recorded a solo album for Cooking Vinyl Records. 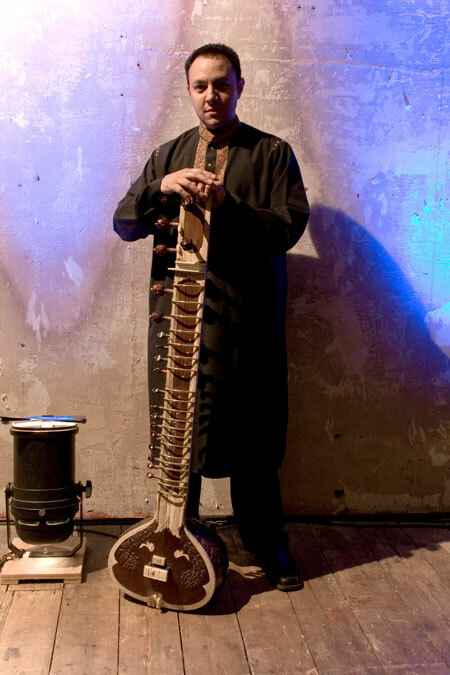 He has performed all over the world including, France, Germany, United Arab Emirates, Australia, America, Bangladesh, Sri Lanka, and two very successful tours in India as well as a number of performances for the BBC in the UK. 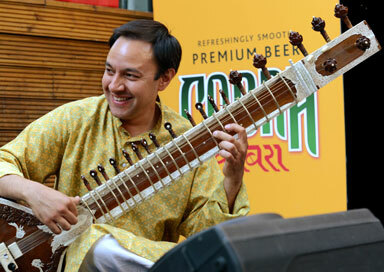 He is also in demand as a session musician and appears regularly on television and radio. In the education field He has taught A-level music technology and Composition both for London borough of Camden and has taken workshops in Indian music for The Royal Welsh college of Music, County of Suffolk, Live Music Now, City of Birmingham and 100's in the London area.